LSH and HI are governmental institutes. LSH is the countries largest hospital, its objectives and fields of work are divided into three parts, i.e., clinical service, education and research. 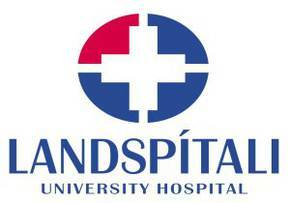 The hospital has close co-working with HI, the University of Iceland, and share the same scientific personnel in the field of health sciences. The department in SEAFOODplus is the Unit for Nutrition Research which is both under LSH and HI. The project in SEAFOODplus, i.e. scientific work, administration and financial organisation, will be at the hospital, LSH. The Unit for Nutrition Research was founded in September 1997, as part of the hospital’s Department of Clinical Nutrition and the university’s Department of Food Science, Faculty of Science. At the hospital, the Unit shares facilities with the Department of Clinical Nutrition. This part of the Unit can engage in studies on nutritional status, clinical intervention studies and clinically related nutritional problems. The Unit has access to laboratory facilities at the hospital and equipments to evaluate nutritional status and food and nutrient intake. The facilities include computers for researchers and students, installed with nutritional data programs and statistical programs. The Unit is involved in nutrition policy work, recommendations and advise, both within Iceland and internationally. It has focussed mainly on nutrition in young age and on prevention of non-communicable diseases. Prof. Inga Thorsdottir (project 1.2 YOUNG).